Insurance is one of those things that we all wish we didn’t need. It’s also one of those things that gets pushed by salespeople who don’t have your best interest at heart. Unfortunately, it’s also one of those things that we all need, though it’s important to determine exactly how much you need. It protects you against calamity. Ok, so what exactly is insurance? When you buy insurance, you’re paying someone else to take on your risk, plain and simple. It could be the risk of health issues, disability that prevents you from working, car crashes, or a whole medley of other things. What kinds of things do you insure? You want to insure against events that are relatively infrequent and financially significant. This means you don’t insure against stubbing your toe- it happens fairly frequently and odds are it won’t hurt your finances. However, you do insure against earthquakes if you’re in California. Why? Because they don’t happen often, one hopes, but they do have a large impact when the earthquake is big. Your cost to insure yourself will be inverse to the combination of frequency and magnitude of the event you’re insuring against. Check out this article on how to analyze risk, it’ll go into more detail on the concept. Toe stub insurance would be cheap because it would hardly pay anything. Earthquake insurance isn’t that expensive because it’s infrequent. Disability insurance is expensive because it happens often and has a big financial consequence. Insurance companies work by pooling a bunch of people’s risk together and pricing based on that. While it’s possible that you have an unlikely event occur odds are across their entire population their exposure is limited. Basically, by taking on a ton of people they’ve turned the terrible consequences into the individual to coverage for the group. Let’s look at the types of insurance you might consider. Health insurance covers you in the event that you need medical care. As of the time of writing this there’s a big fuss in the US about how to best deliver health insurance. Suffice it to say, this is one insurance you want. Healthcare is expensive to deliver because of a myriad of factors. Unfortunately, it’s also fairly common to need access to medical services. So, based on our previous risk analysis tool you can see that it’ll be relatively expensive to insure. Check out this article for more details on what you want in a health insurance policy. Disability insurance protects your income in case you’re unable to work. Pretty sweet, huh? This is the one insurance that most people need and don’t have, unless they get it through their employer. 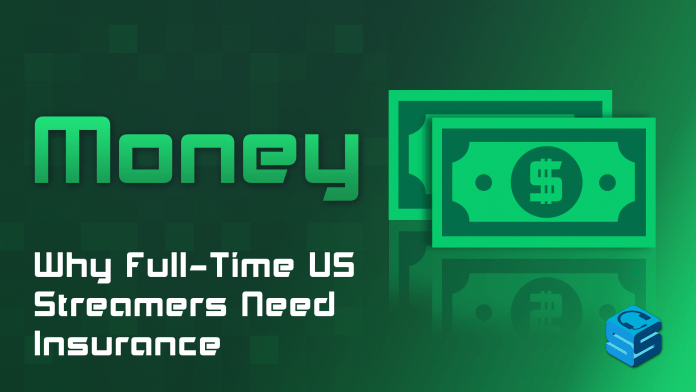 If you’re a full-time streamer then presumably you don’t have it through an employer. As with health insurance, it’s surprisingly common to need to use disability insurance. After all, you could be unable to stream for an extended period of time because of a car accident, hand injury, cancer, a broken jaw, or serious back problems. If that’s the case and you have the right kind of coverage then you might be able to retain some of your lost income. That could be a lifesaver for someone who is relying entirely on their own self-employment for their income! Check out this article for more information on the factors to consider with disability insurance. There are two reasons to buy life insurance. The first is to pass on tax-free wealth to your heirs. That really only comes in to play if you have more than $5.49 million (per person in a couple) at death. I’m confident in my assumption that those kinds of numbers are irrelevant to most of us. The second reason is to replace lost economic value. It sounds harsh but it’s true. If your death would mean that someone you support isn’t in the same financial position they would have been if you were alive, then you might want to consider life insurance. It’s not only income you earn, either. What would happen to a couple where a stay at home parent died? The other parent would suddenly either have to hire babysitters during the day or take time off work to provide childcare. That’s a huge economic impact! So, when don’t you need life insurance? Generally, if you’re not supporting anyone else or no one else is relying on your income. If you’re unmarried, don’t have kids, and don’t have dependents then you probably don’t need life insurance. Save yourself the cash! There are several types of life insurance. If you don’t need to worry about passing on inheritances (yet) then you should be looking at term insurance. It’s inexpensive coverage that you can get today to cover your needs. If your needs change in the future then it could make sense to look at other types, but when you’re starting out its term all of the way. Renters insurance protects your stuff. Homeowners insurance protects your home and your stuff. Both are important. These policies come in to play when you have fires or other kinds of home-based events that damage your stuff. Make sure to check the policies you’re considering to see what the exclusions are. Most policies don’t cover flood, earthquake, neglect, war, or a couple of other factors. One particular twist for broadcasters: it might be more difficult for you to get appropriate insurance because you’re also likely working from home. You might want to consider an endorsement (insurance add-on) that covers your home business. Similarly, it might make sense to get separate business owner’s insurance. Don’t assume that your homeowners or renters policy covers your streaming business! Umbrella insurance provides coverage above and beyond your other liability (homeowners, auto) policies. It’s your last line of defense to make sure that you aren’t bankrupted by a mistake or a situation beyond your control. The prime example of this comes from auto accidents. Imagine that you’re at fault in an auto accident where multiple people in the other car are injured. You’re protected up to $250k for that kind of coverage but their hospital bills combined go over that amount. This is when your umbrella insurance kicks in. Luckily, umbrella insurance is quite inexpensive. That’s because it comes in to play only after you’ve used up other sources of insurance. So while the magnitude of the payment might be large the frequency is extremely low. Check out the more in-depth article here. You should care so that you can stay doing what you love without worrying about losing it all because you were unprepared. When you’re a full-time broadcaster then you’re totally on your own, unless you have a spouse supporting you. Yes, your community is awesome and will likely jump in if there’s an emergency. But for how long? Would you even want to rely on them longer term if you weren’t able to stream? These kinds of insurance let you outsource the risk like you might outsource creating YouTube highlights of the stream. Will life still be rough if you suffer a disability or fire burns down your house? Yes. But you will be able to get back on your feet without a severe financial penalty. You’re being a smart business owner (and human) by considering your relevant risks and dealing with them. Insurance is an unfortunate necessity. You can find all kinds of coverage to make sure that you’re not exposed to many common risks in life. As a business owner, you need to consider the risks to your business and income and deal with them. Is it fun paying the monthly or annual bills for insurance? Nope! Will it help you out in the long run? Yup! If you’re already full-time or planning to go full-time it’s important to be responsible and protect yourself. Streamer at twitch.tv/chigginators, long time video game fanatic, and personal finance dude. 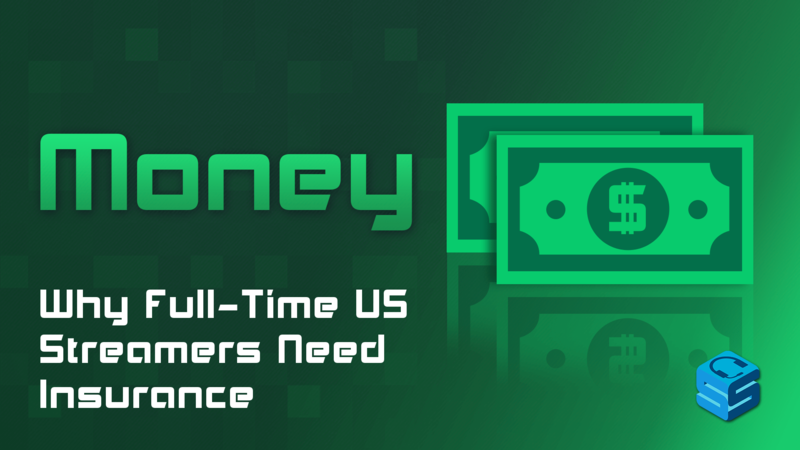 If you're a streamer looking for some money help check out the blog at pajamapantsfinance.com. If you'd like personalized help I'm at buffyourfinances.com/services!